This week has been busy, but here is a snapshot (or three) of what has been going on. First, I swatched and cast on for a new sweater. I’ll do a proper post about it when I have time, but for now I’ll just say that the pattern is Woodstove Season by Alicia Plummer and the yarn is SweetGeorgia Merino Worsted in Cypress. I am already loving the combination. The swatch is boring, but the colour is lovely, no? 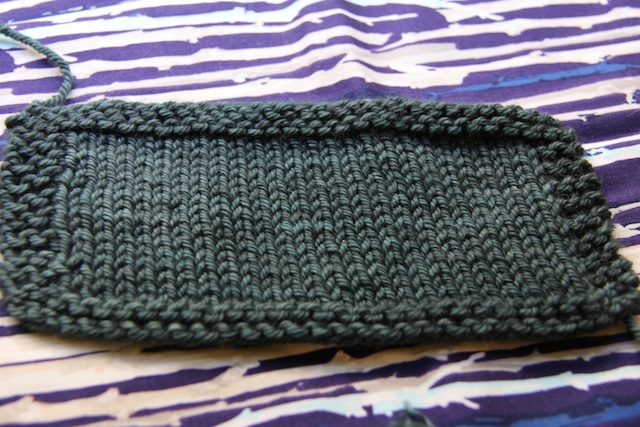 Secondly, I have been test-knitting for the shop. 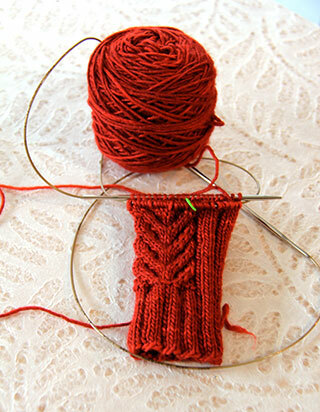 This is an almost-finished fingerless mitten, knit in Manos del Uruguay Silk Blend. I wish it was for me, because not only could I really use a pair of fingerless mitts, I love both this yarn and this pattern. Third, the Daphne socks continue apace. My weekend is rapidly filling up, but if I can find a few spare hours in there, I might still be able to get them finished. 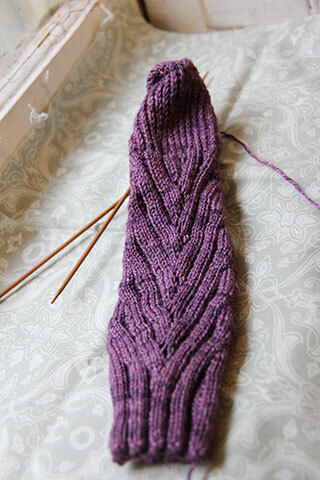 I’m a few rows away from finishing the gusset shaping on sock number 2 – so close to finishing I can practically taste it!